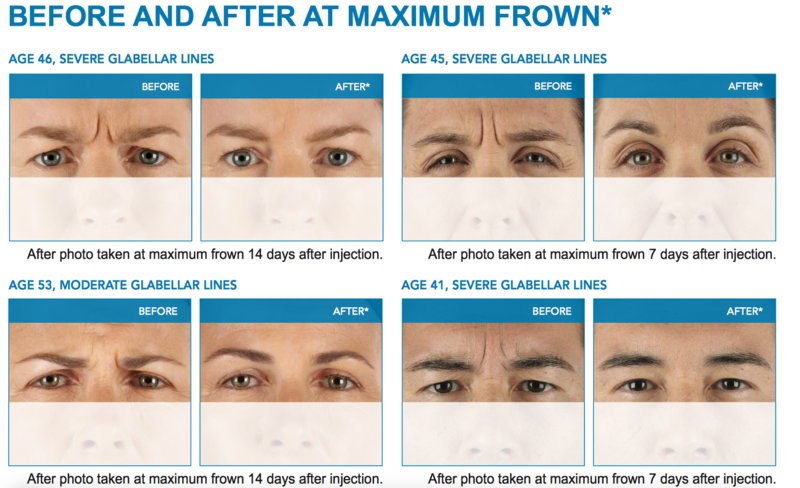 XEOMIN® (incobotulinumtoxinA) is a prescription medication used to temporarily improve the appearance of moderate to severe frown lines between the eyebrows (glabellar lines) in adults. XEOMIN® contains botulinum toxin type A, a protein puri ed from the bacterium Clostridium botulinum. Botulinum toxin type A acts on nerve endings in muscles to prevent muscle bers from contracting. By reducing these contractions, XEOMIN® can temporarily reduce the lines on your forehead between your brows. The typical duration of effect is up to 3 months but may last significantly longer or shorter in individual patients. In studies, XEOMIN® treated subjects ranged from 24 to 74 years of age with a mean age of 46. Before you take XEOMIN, tell your doctor about all your medical conditions, including if you have a disease that affects your muscles and nerves (such as amyotrophic lateral sclerosis [ALS or Lou Gehrig’s disease], myasthenia gravis or Lambert-Eaton syndrome), as you may be at increased risk of serious side effects including dif culty swallowing or breathing. Tell your doctor if you have: had any side effect from any other botulinum toxin in the past; breathing problems such as asthma or emphysema; a history of swallowing problems or inhaling food or uid into your lungs (aspiration); bleeding problems; drooping eyelids; plans to have surgery; had surgery on your face. Also tell your doctor if you are pregnant or plan to become pregnant (it is not known if XEOMIN can harm your unborn baby); are breastfeeding or plan to breastfeed (it is not known if XEOMIN passes into breast milk). Copyright © 2013 Merz Aesthetics, Inc. All rights reserved. Merz Aesthetics and the Merz Aesthetics logo are trademarks, and XEOMIN is a registered trademark of Merz Pharma GmbH & Co. KGaA. 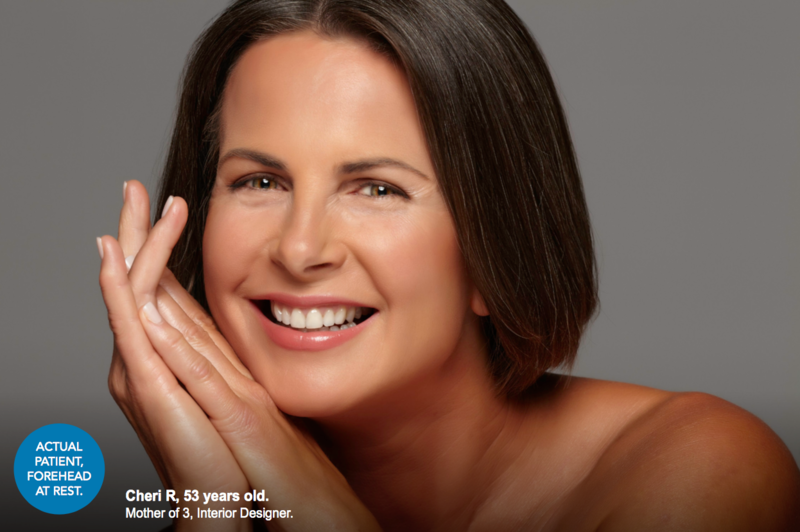 BOTOX is a registered trademark of Allergan, Inc. Dysport is a registered trademark of Ipsen Biopharm Limited Company.